I coach senior leaders and teams within a variety of industries. Engagements often address transitions to new roles, driving strategy, leadership agility, executive presence, and leading teams. Dr. Craig McCall provides executive coaching and assessment, team solutions and meeting facilitation, and leadership development programs designed to develop outstanding leaders and optimize organizational performance. For over 17 years Craig has assessed senior executives for selection, development and succession. Coaching engagements often address: C-suite readiness; development of leadership disciplines and strategy execution; executive presence; change management; talent strategy; executive team development; as well as on-boarding and assimilation to new senior roles. Industry focus has included: banking and financial services; professional services and public accounting firms; healthcare, healthcare IT, and medical devices; telecom; engineering and manufacturing; retail; publishing; distribution; pharma; and a variety of private equity groups, investment banks and M&A firms. Craig is a licensed psychologist and holds a Doctorate in Psychology from the Illinois School of Professional Psychology and a B.A. from Boston College. Craig is a Registered Corporate Coach through the Worldwide Association of Business Coaches and is Hogan leadership assessment certified. 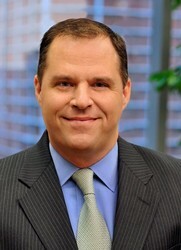 He has held coaching faculty positions at the Lake Forest Graduate School of Management and Capella University, and professorships at Loyola and Argosy Universities in Chicago. He has presented numerous times at the University of Chicago’s Booth School of Business on talent assessment for private equity groups, and has coached at the Global Institute for Leadership Development (GILD). Craig sits on the emeritus board at the Partnership to Educate and Advance Kids, a not-for-profit that provides mentorship and financial support for inner-city adolescents in Chicago. He lives in Charlotte, North Carolina with his wife and three daughters and enjoys world travel and mountain trekking. Have you worked with Craig? Tell your friends! Craig doesn't have any reviews yet. Craig hasn't submitted any articles.